BT has awarded its consolidated direct marketing and CRM account to Wunderman in one of the biggest account wins in the sector in recent years. 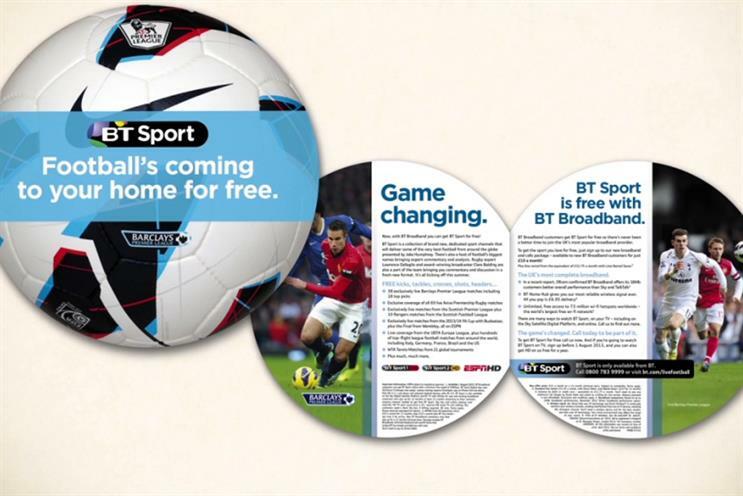 The telecoms giant launched a review of its direct marketing accounts for BT and EE in August. WPP’s Wunderman was chosen after a shoot-out with Omnicom’s Proximity London in November. It was the second major review by BT following the completion of the £12.5bn EE takeover in January 2016. BT’s consolidated £160m media account went to incumbent WPP agencies MEE (EE) and Maxus (BT), which set up a bespoke unit called Team Connect. Zaid Al-Qassab, chief brand and marketing officer for BT Group, said: "Our hope was to find an agency partner who would work with us to broaden and deepen our customer relationships. "Wunderman proved that their experience, people and capabilities were the perfect fit for us. We look forward to a long and successful relationship with them." Separately, Now has been awarded the above-the-line account for EE Business, which complements the BT Business account that the agency won in 2011. OgilvyOne won BT’s direct marketing account in 2001 and picked up the digital account for its business division in 2009. Chemistry won EE’s direct marketing business in 2012, after having worked with its predecessor Orange. Two years later EE reduced its DM budget and moved its b2b business out of Chemistry and into McCann Enterprise. While the telecoms giant has chosen to retain the EE brand, it has said it expects to make cost savings of £400m a year. Mel Edwards, chairman at Wunderman UK, said: "We are absolutely thrilled that both BT and EE have chosen us as their agency. We are really excited to be part of this new chapter, bringing both brands into one agency. "The team and I are looking forward to delivering outstanding work for what are two prestigious UK brands. To say that we are over the moon, would be an understatement."